In addition to advocacy on federal legislation, PHA also advocates on behalf of its members with CMS and other federal agencies by commenting on proposed regulatory and policy changes that impact our industry. Get involved! 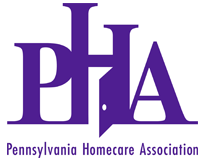 Members are encouraged to submit their own comments on proposed changes or contact PHA to discuss concerns and suggestions about these proposals. Contact PHA Public Policy Director Janel Gleeson at [email protected] or 717-975-9448, ex. 26 to get started today!